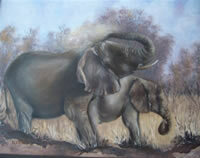 I am situated in South-Africa, Phalaborwa, next to the Kruger National Park and enjoy going to the park. It gives me the greatest pleasure to be able to see the African bush. My interest in art comes from an early age, schooldays. And it's been a very important part of my life. If opportunity knocks you would find me with my paintbrushes and paint. I paint with oils, oil pastels and soft pastels. 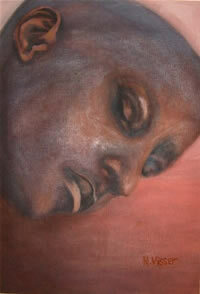 I mostly paint wildlife, landscapes, still life, and ethnic faces. I have taken part in 3 local art exhibitions at Kingfisher Private School. 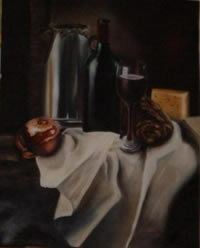 I have taken part in art competitions online and visually, Absa L'Ateliër, Sasol Signatures competition. I never had any formal education. 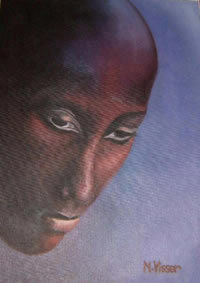 Education consists of high school art classes, book reviews and art classes from local artists. My studies of portraits are good and knowledge of my objects color, tonal values are fairly good. I still try to study, not yet a professional, but in time and hard work, everything pays off. I am living a hopeful dream, that maybe one day I would have the honor to be a professional artist. I would like to be known as an artist. Paintings I made through the years. Things I love. Colors I use. My signature.